Bayco Products Inc., a Texas, USA based leader in professional grade lighting products today announces availability of their new 1,000 Lumen Nightstick NSR-1514 LED Rechargeable Area/Scene Light with Magnetic Base, and 1,000 Lumen Nightstick NSR-1514C Rechargeable LED Area Light Kit which includes a 6 foot tripod placed inside a durable carrying case. With an impressive 1,000 lumens of light on high, 500 lumens on low using a single sealed push button switch, the discrete yet powerful Nightstick NSR-1514 weighs only a mere 3.3 pounds. Leveraging lithium-ion rechargeable battery technology to provide up to 8 hours of continuous usable light on 1 single charge, the NSR-1514 also features a rare-earth 10 pound pull force magnet in the supporting base. With hands-free use and lightweight rechargeable portability in mind, this area light will swivel independently providing the ability to position light exactly where needed and at angles not available in traditional fixed position scene lighting until now. The lightweight 6061-T6 aluminum frame with multi-fin heat sink keeps this area scene light cool to the touch while the adjustable comfort-grip handle provides versatility to carry, hang, adjust and reposition light as needed in the field. Drop rated at 2 meters with a water rating of IP-X7 waterproof, the NSR-1514 is also backed up with Bayco Products 1 year limited warranty. Great for lighting up a crime scene, DWI check-points, crash site illumination, or lighting remodel projects away from a fixed power source, the versatility in lighting modes and ability to magnetize to a metal surface, articulate or affix to a portable 6 foot tripod stand provides limitless options for mobile professionals. 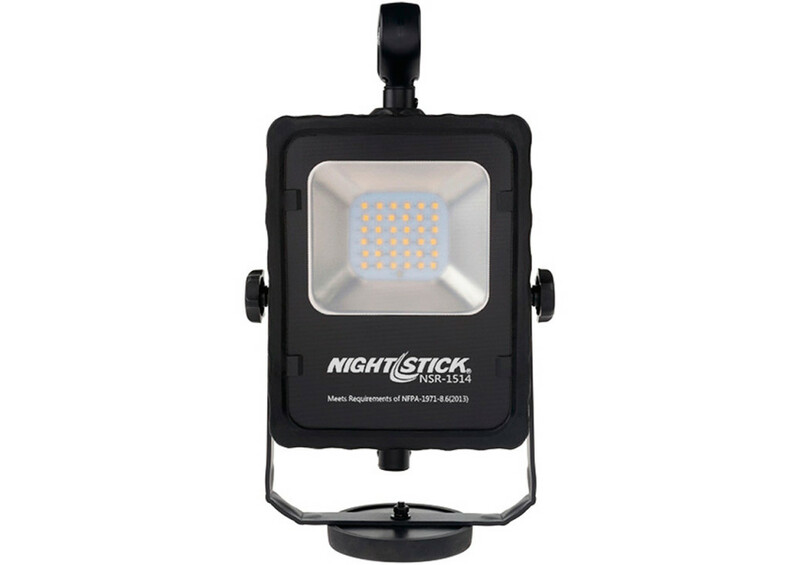 Nightstick model NSR-1514 includes the LED area light with AC and DC power supplies at an MSRP of only $122. 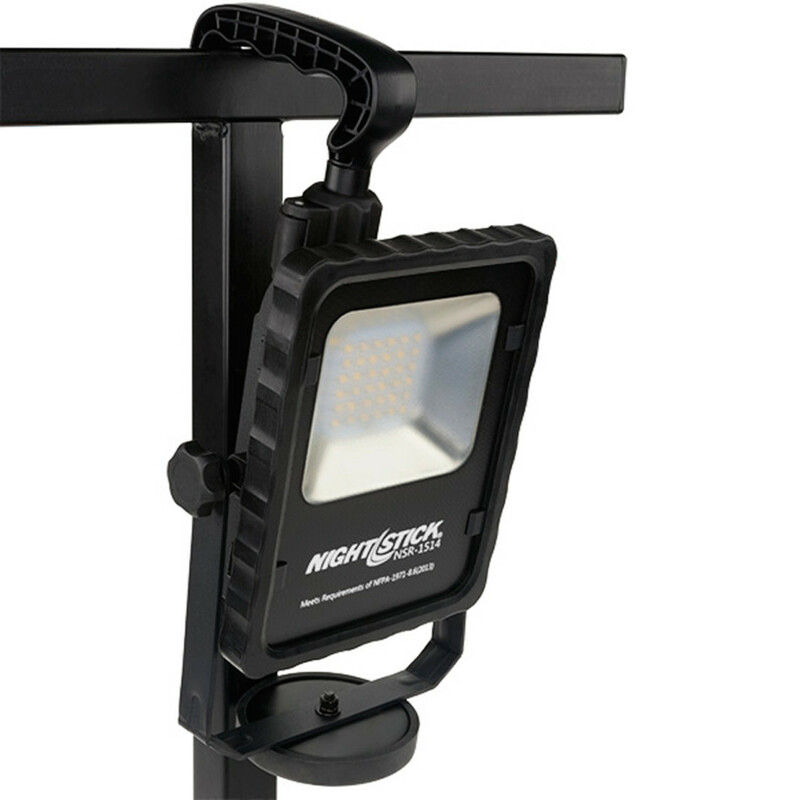 The Nightstick NSR-1514C light kit model includes the LED area light, a 6 foot aluminum tripod with camlock adjusters, and AC & DC power supplies all inside a rugged blow molded carrying case for an MSRP of only $210. To learn more, please visit www.mynightstick.com. BAYCO LIGHTS THE WAY For over 30 years, Bayco Products’ vast array of portable & corded lighting products, have been the preferred choice of professionals and discriminating consumers. The Nightstick and Bayco brands are recognized world-wide as high-performance, high-quality, high-value lighting solutions across virtually every industry. Headquartered in North Texas, Bayco Products’ 110,000 square foot facility is the international headquarters for R&D, engineering, marketing, sales and distribution. Bayco Products has dedicated ISO 9001 Certified factories both in the US and abroad.